Tickets include a live performance of World’s on Fire with a live bluegrass ensemble The Crooked Jades. There will be a Harvard Alumni table at the afterparty at the St. Regis. An ODC member will be present at the table to give a talk about the specific performances of the night. ODC is located in the Mission and their dance school serves 16,000+ students of all ages and levels. 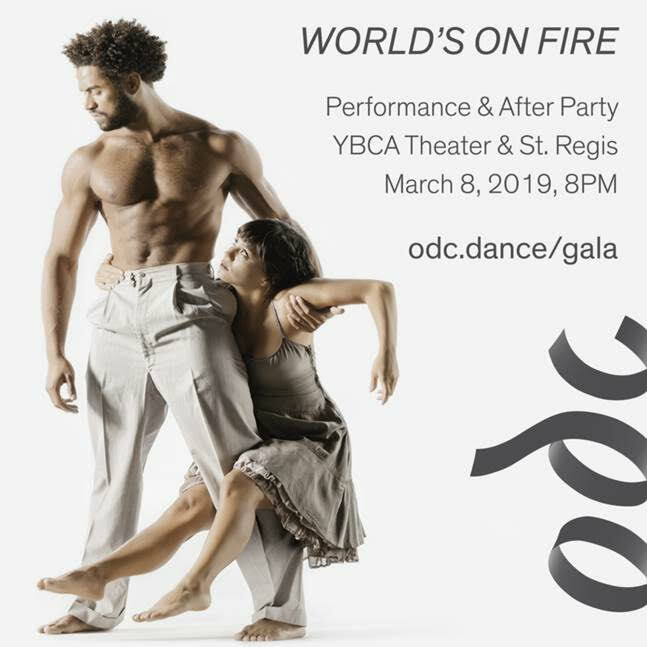 Funds from your After-Party ticket help to fuel ODC's programs that celebrate artistic innovation and provide equity access to the arts in San Francisco. After Party tickets are $175 including the performance ticket. Please mention “Harvard Alumni” in the notes/comments section upon checkout.